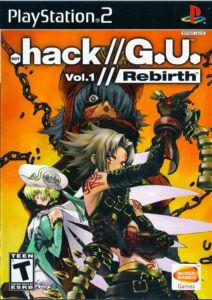 .Hack G.U. Volume 1 delivers an epic, immersive RPG experience in the world of the hit sci-fi fantasy game and TV series. What if what you do as a player in a game impacted your real world? What is reality? 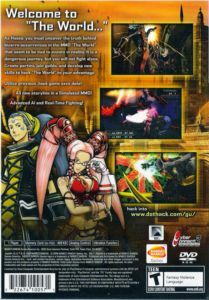 .hack has pursued this innovative concept in the previous 4-part series where "The World" was ultimately destroyed. Years after the events of the first .hack series, "The World" was rebuilt. As a new player, you are saved on your first day in "The World" from several PKs (Player Killers) by a mysterious man. From this day on, you have dedicated your time to hunt down PKs. Word in "The World" is that the legendary PK you have been searching for has surfaced, and you must now set out to find "it". Your world is thrown into chaos when you finally encounter this PK, and are defeated by him!